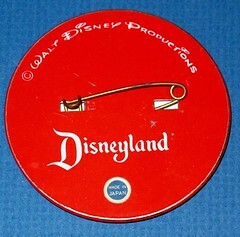 On September 14, 1964 Walt Disney received a Presidential Medal of Freedom from Lyndon Johnson in the East Room at the White House. On his way back to California, Walt stopped off for a few days in Kalamazoo, Michigan to visit long time friend Donald Gilmore, Chairman of the Board of Upjohn Pharmaceutical. 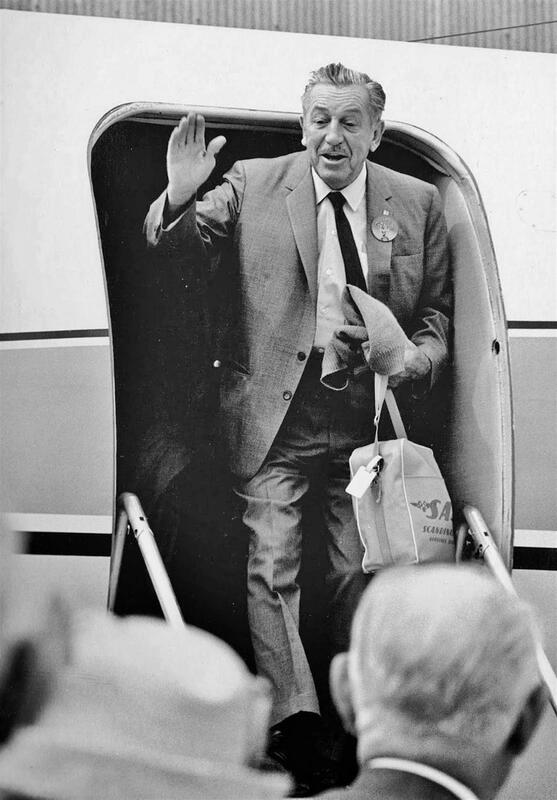 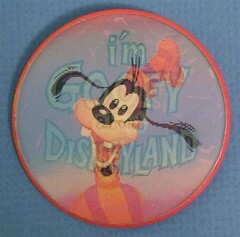 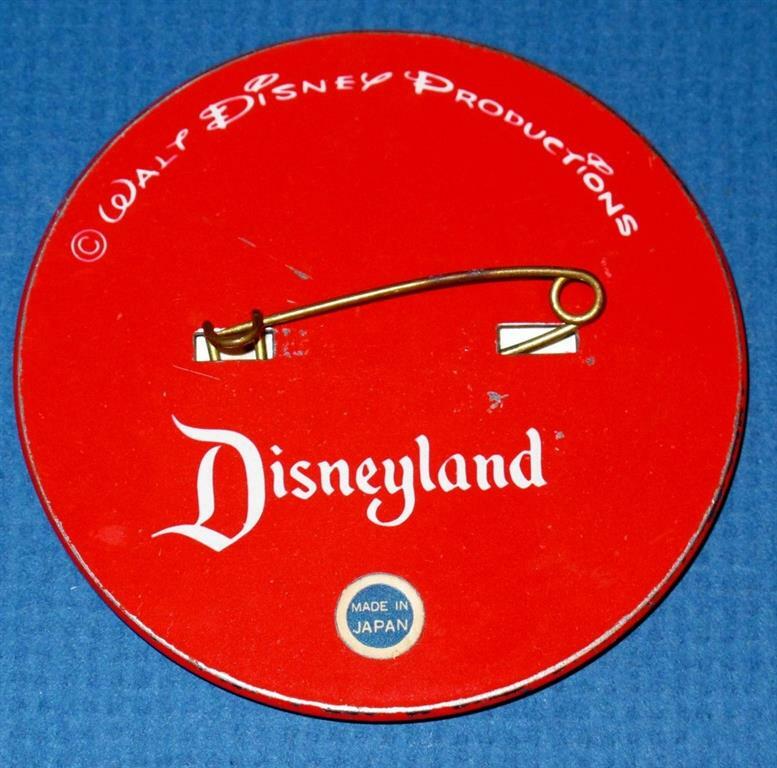 In the photo of Walt getting off the plane, notice his “I’m Goofy About Disneyland” ‘flicker’ button. 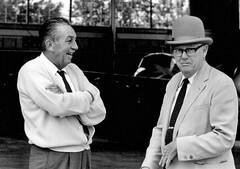 Walt visited ‘Upjohn Building 88’. The Upjohn Company Executive Office Building was located at Romence Rd. 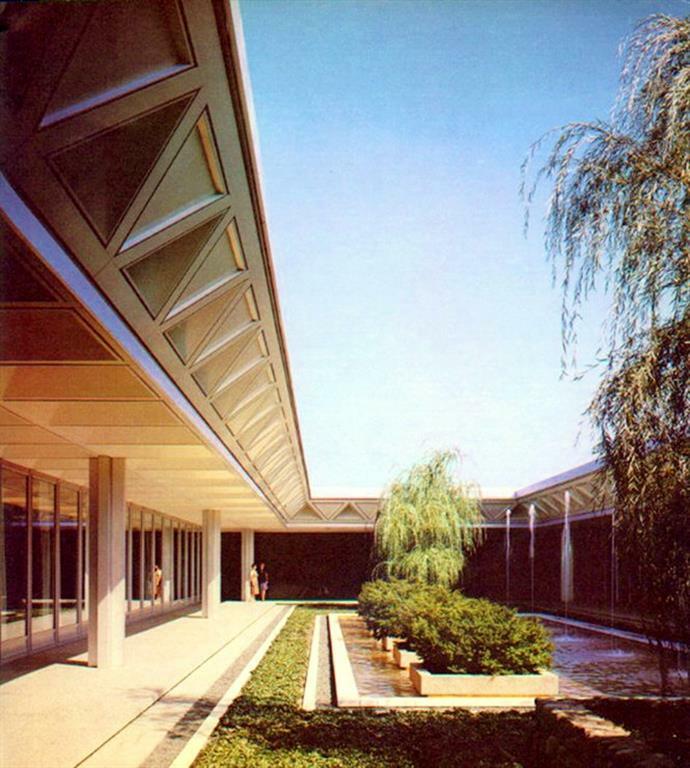 Pkwy. 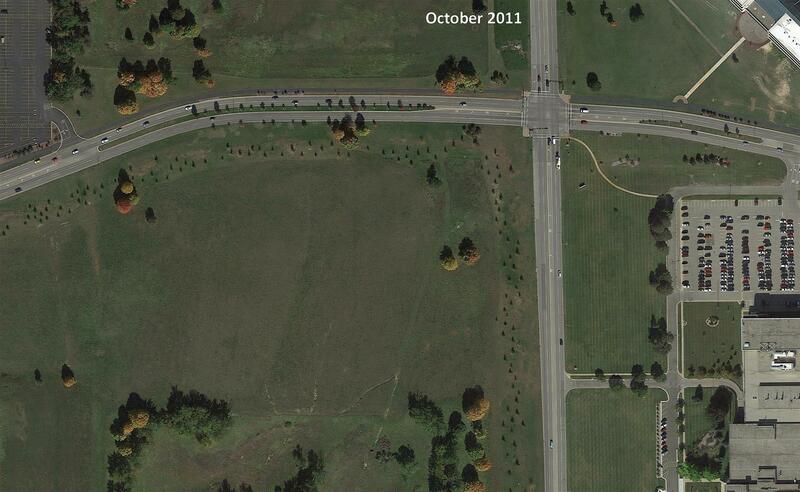 & Portage Rd. in Kalamzoo. 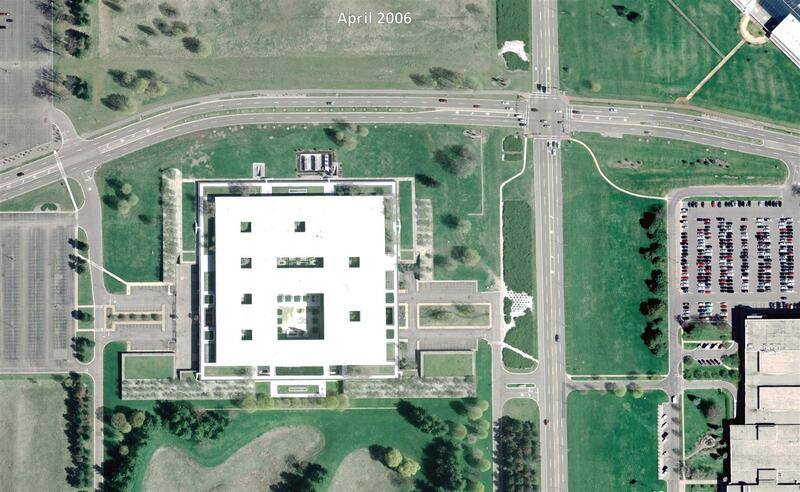 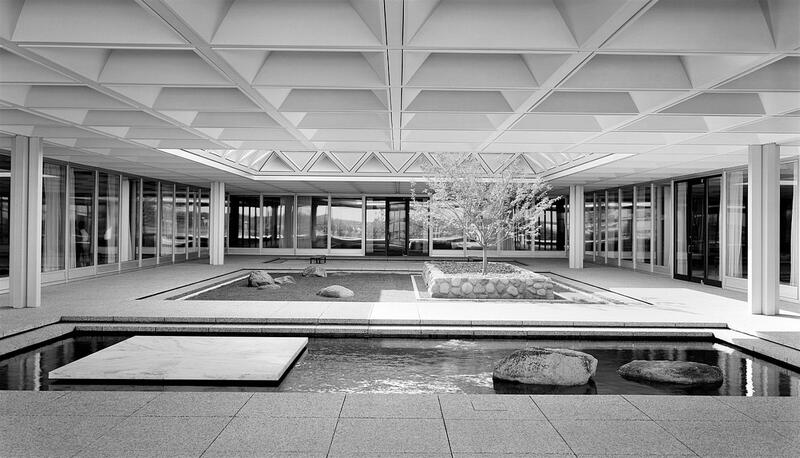 It was completed in 1961 and demolished by Pfizer in 2007. 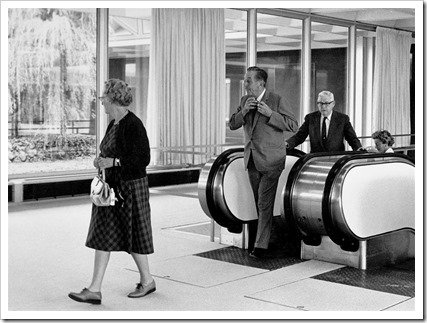 In one of the photos below, you can see Walt stepping off an escalator. 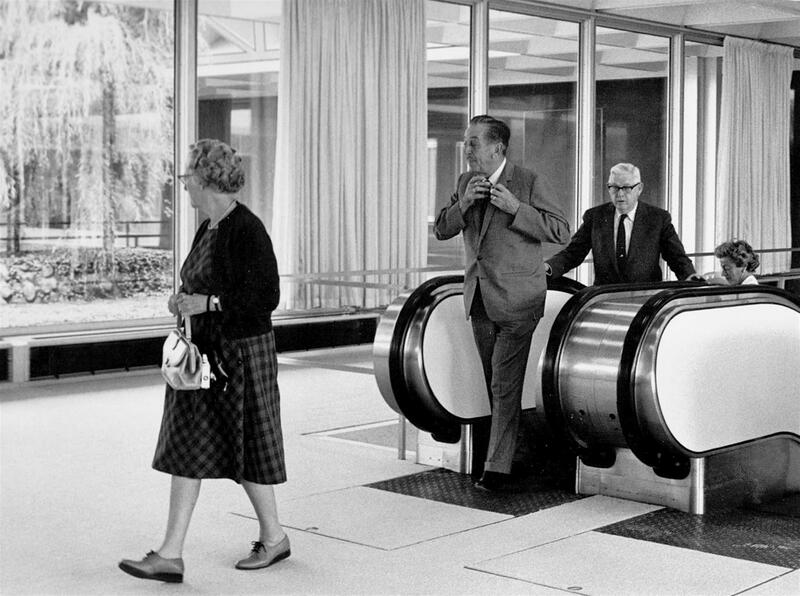 It is purported that the escalators would start moving when someone stepped on the landing pad and would stop when the last person stepped off the opposite landing pad. 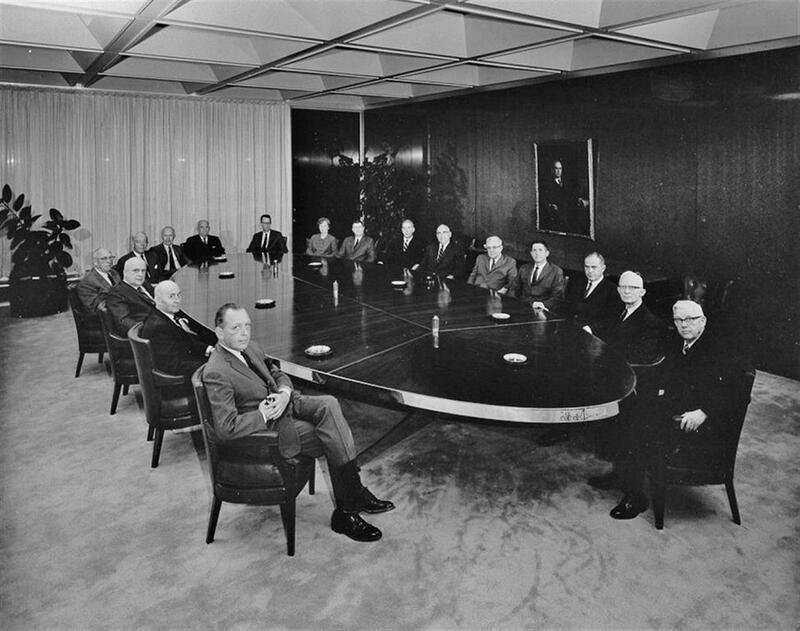 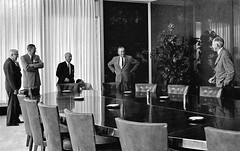 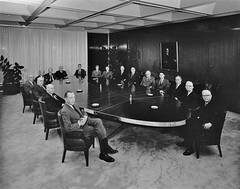 You’ll also see Walt in the Executive Board room along with a photo of a Corporate Board meeting in May 1966.